Dave Haist currently serves as Chair of the Parkview Health Board of Directors. As Board Chair, Haist provides strategic guidance and oversight of the health system’s mission and vision, growth, quality and more. In his time with Parkview, Haist has helped to support the strategy and eventual opening of the Parkview Cancer Institute (2018), a new hospital in Wabash, Indiana (Parkview Wabash Hospital – 2018), a multi-million dollar investment in Parkview’s second largest hospital (Parkview Hospital Randallia), among several other strategic initiatives. The former executive vice president and COO of Do it Best Corp. also serves several other business, civic and charitable organizations including board service or advisory work with Rea Magnet Wire Company, the Honeywell Foundation, Fort Wayne Children’s Zoo, Ford Meter Box Company, Brooks Construction Company and Manchester University, among others. 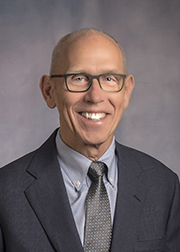 Ray Dusman, MD, chief physician executive for Parkview Health, also serves as the board's vice chair, along with serving as chair of the Quality committee. 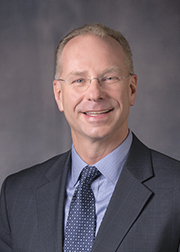 Dr. Dusman joined Parkview Health in 1989 (Parkview Physicians Group - Cardiology, formerly Fort Wayne Cardiology) and in 2009, he was named Chief Physician Executive. Dr. Dusman provides oversight for the health system safety and quality, clinical integration/healthcare delivery, population health management, cardiovasular services and research. He is board certified in internal medicine, cardiology and cardiac electrophysiology, and he is a fellow of the American College of Cardiology and Heart Rhythm Society. Michael Axel serves as the Treasurer of the board, as well as vice chair of the board's Finance committee. A Chartered Financial Advisor (CFA) serving individual and institutional clients, Axel is the president and founder of AMI Investment Management, Inc. Prior to founding AMI in 1995, he was an investment manager for the Dekko Foundation and Group Dekko International, as well as a member of the Dekko Foundation Board of Directors. Axel continues to serve the Dekko Foundation, as a member of its Grants Review committee. He is also a member of the Oak Farm Montessori School Board of Directors, Trine University’s Ketner School of Business Advisory Board and the Strength Capital Partners Advisory Board. Brian Emerick serves as the board's secretary, as well as chair of the Finance and vice chair of the Strategic Planning committees. He is the founder and CEO of Micropulse, Inc., a manufacturer of spinal and orthopedic implants and surgical instruments. Started in 1988, Micropulse employs nearly 340 people in Columbia City, Indiana. Emerick also serves on the boards of three start-up ventures that are housed in his companies “Orthovation” business incubator. He also serves on the Huntington University, Northeast Indiana Regional Partnership and Fort Wayne Children's Zoo board of directors, among others. 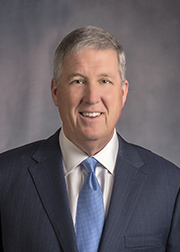 Mike Packnett joined Parkview Health as President and CEO in June 2006. Prior to joining Parkview Health, Packnett served for fifteen years in several roles with the Sisters of Mercy Health System – St. Louis. Packnett serves on several boards throughout the region including the Indiana Hospital Association, the Northeast Indiana Regional Partnership, the Regional Chamber of NE Indiana, the Indiana State Chamber, the Greater Fort Wayne, Inc., the Fort Wayne Medical Education Board, the Central Indiana Corporate Partnership Board, Purdue Fort Wayne Community Engagement Board, and serves as a Manchester University trustee. He has a bachelor’s degree in Finance from the University of Central Oklahoma, Edmond, Oklahoma, and a master’s degree in Hospital Administration from the University of Minnesota, Minneapolis, Minnesota. Margi Brooks serves as the chair of the board’s Governance committee. 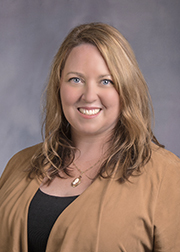 She is the manager of strategic information and technology for Brooks Construction Company, Inc., a northeast Indiana road infrastructure business, where she oversees information technoology, marketing and analytics. Brooks serves on the boards of several local non-profits including Fort Wayne Trails and the Fort Wayne Parks Foundation. She was honored as a 40 Under 40 recipient by the Fort Wayne Business Weekly in 2016. Brian DeCamp is chair of the Parkview Noble Hospital Board of Directors. DeCamp is the owner and director of Hite Funeral Home in Kendallville, Indiana. With more than 30 years of experience in business management, he acquired Hite Funeral Home in 2006 and continues to oversee day-to-day operations and management of the funeral home. DeCamp is heavily involved in the Noble County community, supporting the area’s local arts, athletics, 4-H and more. Ronald Elsenbaumer, PhD, currently serves as the chancellor for Purdue University Fort Wayne. An accomplished educator and researcher, Dr. Elsenbaumer has more than 38 years of wide-ranging leadership experience that spans both academia and the private sector. Prior to coming to Indiana, he most recently served as senior advisor to the President for Entrepreneurship and Economic Development, as well as Interim Dean for the College of Architecture, Planning, and Public Affairs (CAPPA) at the University of Texas at Arlington (UTA). 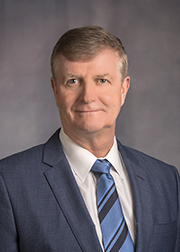 Previously he held the positions of Provost and Vice President for Academic Affairs, and Vice President for Research and Federal Relations at the institution. Jim Heuer serves as the chair of the Parkview Whitley Hospital Board of Directors. Judge Heuer, who retired from the Whitley County Circuit Court at the end of 2016, currently serves as a senior judge supporting Allen, Kosciusko and Whitley Counties. Heuer is a member of the Whitley County Community Corrections Advisory Board and also serves as a volunteer and board member of the Troy Center School in Columbia City, supporting disadvantaged teenagers of northeast Indiana. Josh Kline, MD, serves as the vice chair of the board's Information Technology committee. Dr. Kline is board certified in family medicine. 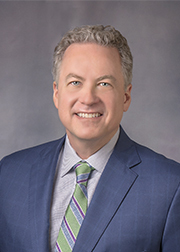 He also serves as the Parkview Health Primary Care Service Line physician leader and Parkview Physicians Group Chief Medical Officer, working in collaboration with the administrative team to guide the strategy for Primary Care within Parkview. This includes working with the primary care line of business in practice operations, strategic planning, patient satisfaction, evaluation of new services, and organizational growth. Tom Kimbrough, JD, serves as the vice chair of the board's Governance committee. Kimbrough is a partner at Barrett McNagny LLP, with more than 30 years of legal practice. Kimbrough specializes in health care, labor relations and employment law, among other legal services. He was selected as a Fellow of the American College of Trial Lawyers which is limited to the top one percent of the total lawyer population in any state. 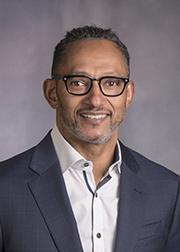 Kimbrough is past president, a board member and an executive committee member of the Parkview Hospital Board of Directors, YMCA of Greater Fort Wayne, and is a member of the Withers Scholars board of directors. He is past president of the Indiana Youth Institute and the United Way of Allen County board of directors. He has also served on the Grant Review Committee and board of directors of the Greater Fort Wayne Community Foundation. Jerry Long serves as the board's chair of the Innovation Council and vice chair of the Audit committee. Long is the president and chief executive officer of Rea Magnet Wire Company, Inc., in Fort Wayne, Indiana. His experience in the electrical manufacturing and automotive industry includes working across all levels – vertically and horizontally with the board of directors, senior management, consultants, and business. 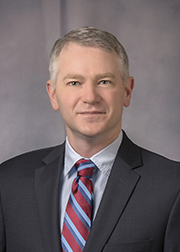 Alan McGee, MD, is a board certified orthopedic surgeon (American Academy of Orthopaedic Surgeons), specializing in spine surgery in his practice with Ortho NorthEast (ONE). Dr. McGee is a member of the Alpha Omega Alpha National Medical Honor Society, the Wright State African American Medical Scholarship Program, the Martin Luther King Jr. Club, the North American Spine Society, the African American Healthcare Alliance and the Mid-America Orthopaedic Association. Marilyn Moran-Townsend serves as the chair of the board's Compliance committee. Moran-Townsend is co-founder and chief executive officer of CVC Communications – Business Storytellers. CVC is a certified, woman-owned company, that builds online corporate universities, teaches Breakthrough Thinking to leaders, and develops essential business communications tools for global corporations. 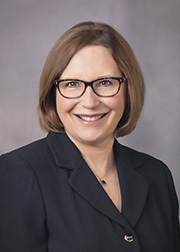 Townsend is past chair of the Indiana Chamber of Commerce, the first woman to hold this post. She previously served as chair of the Indiana Higher Education Commission, the Parkview Hospital Board of Directors, co-chair of the Great Lakes WBE Forum, and she serves on the boards of the United Way of Allen County and the Education Leadership Council. 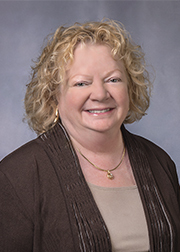 Sherryl Rhinesmith serves as the chair of the Parkview LaGrange Hospital Board of Directors. Rhinesmith is recently retired following nearly 20 years of service supporting the LaGrange County and Noble REMCs as a certified key account executive. Her primary responsibilities included corporate relations, communications, and marketing. Over the years, Rhinesmith has served on various boards and committees, including the Parkview LaGrange Hospital Foundation, the LaGrange County Purdue Extension, LaGrange County Chamber of Commerce and the United Fund of LaGrange County Board. She served as president of the Chamber and also of the MMSC professional section at Indiana Electric Cooperatives in Indianapolis. Wendy Robinson, Ed. D., has served as a member of the Parkview Health Board of Directors since 2015. Dr. Robinson, who serves as vice chair of the board's Compensation committee, is Superintendent of Fort Wayne Community Schools in Fort Wayne, Indiana. 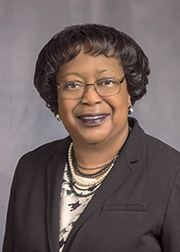 Dr. Robinson is a tireless advocate of public education and in her four decades in public education, has developed close working relationships with some of the most prestigious educational organizations in the country. Dr. Robinson was recently one of four finalists for the 2018 National Superintendent of the Year by the AASA, The School Superintendents Association. She is also the recipient of the Joseph E. Hill Superintendent of the Year Award (2009) from the National Alliance of Black School Educators (NABSE) and was one of the members of the inaugural class of Broad Center Fellows. Dr. Robinson is also an active member of the community, forming partnerships with state and local agencies, businesses, and serving on several state and local boards. She was named Superintendent of Fort Wayne Community Schools in 2003 after serving as a teacher, principal and central office administrator. 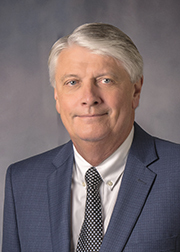 Larry Rowland serves as the chair of the board's Information Technology committee, and previously served within the organization as the president of the Parkview Foundation until he retired from that role in 2017. He is the former chairman, president, and CEO of Lincoln Re, as well as the former president of Swiss Re N.A. 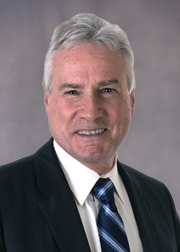 Rowland has served on the boards of several for-profit firms including the Lincoln National Life Insurance Company, Lincoln National Life of New York, First Penn-Pacific, Lincoln National China, Old Fort Insurance of Bermuda, and ReMark, a transnational direct marketing company located in Amsterdam. He currently serves on the boards of many local organizations including Manchester University, Fort Wayne Ballet, Arts United, the Ronald McDonald House of Northeast Indiana, Fort Wayne Community Schools Foundation, the Indiana Humanities Council, Indiana Soccer and Indiana Sports Properties. 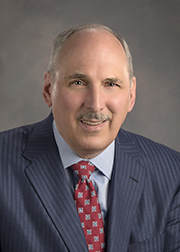 Dan Starr serves as the chair of the board's Compensation committee, as well as chair of the Parkview Hospital Board of Directors. 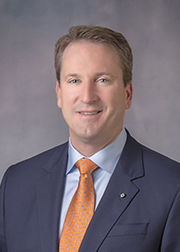 Starr is the president and CEO of Do it Best Corp., assuming the role in 2016 after serving as the company's executive vice president and COO beginning in 2012. Starr has held several leadership roles within the greater Fort Wayne community, participating on civic, charitable, and business boards. 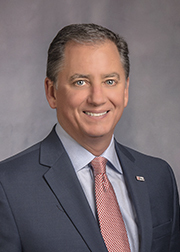 He is currently Chair of the United Way of Allen County Board of Directors, along with serving on the boards of the Northeast Indiana Innovation Center, the St. Francis Family Business Center, Blackhawk Christian School and the Fort Wayne Ballet. Luther Whitfield, DD, is the founder and senior pastor/teacher of New Covenant Worship Center, located in Fort Wayne, Indiana. Prior to starting New Covenant, Pastor Whitfield served as the National City Life Director for Youth for Christ USA and as the Senior Director for the Primetime Community Center, where he still serves and engages today on a regular basis. 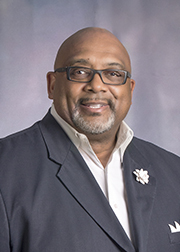 Pastor Whitfield has served as a consultant on a variety of boards and committees including Huntington University Board of Trustees, Horizon Scholarship Advisory Board, Fort Wayne Area Youth for Christ, Euell Wilson Community Center and Crossing Christian School Board of Directors. 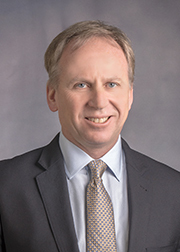 Stephen A. Wright, MD, is an orthopedic surgeon with Ortho NorthEast (ONE), specializing in sports medicine, shoulder and knee reconstruction and arthroscopic surgery. 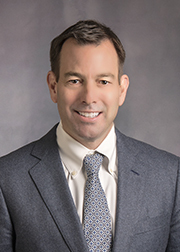 He is a board-certified member of the American Academy of Orthopaedic Surgeons and has also earned subspecialty board certifiation in Orthopaedic Sports Medicine. Dr. Wright maintains active membership in the Indiana State Medical Association and the Fort Wayne Medical Society.